Tech Altum's Android Apps Development Course is meant for those, who want to start their career in software development as an Android Developer. Interested in joining our classroom training click button below and fill the form. We will get back to you. Interview Question for Web Designing and UI Development with Answers and examples. 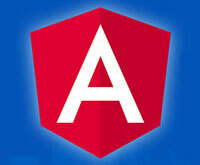 Bootstrap is HTML5 based Mobile First Framework for Web Development. Bootstrap was developed by Twitter Developers in August 2011. CSS3 Selectors and their use. 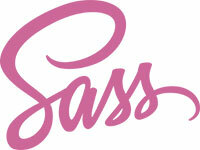 CSS3 introduced vast no of selectors, including pseudo-selectors, attribute selectors. Being a student of Tech Altum, i will recommend this institute as a best institute for web designing in noida. 7 interviews offered by institute and i got placed in 3 companies. Best training by best trainers and specially thanks to Avinash sir for support. Its pleasure to be a student of this institute. They values the student's. Always step forward to clear the doubts and make students upto date with the latest study material.. I had really very good experience in this institute while taking training, good experienced faculty with good study material. would recommend for all others for best technical training institute in noida.. Very practical approach for teaching.A lot of efforts taken by the teachers. I have completed Web Design course from Tech Altum now I am a senior web designer. Tech Altum is very professional institute. I highly recommend to others students! A very good and practical approach towards training young minds.. Web Designing is the process of building websites. This includes layout design, markup, fonts, images, content and responsive utilities. In IT Sector, Web Designing with UI, User Interface Development is one the most demanding course with maximum job opportunities. After completion of our Web Designing Course, candidate will be able to design any website of his choice perfectly, with Latest Websites Trends, can host his website on web server, and can do seo of this projects. Our Web Designing Course is divided in two parts, Core Web Designing and Advance UI Development. If you are familiar with basic web technologies like, HTML4, CSS2 and Photoshop, you can directly start with advance UI development. If you are new into this, you have to do complete web designing course. User Interface Development / UI Development is the advance part of web designing. Our UI Development course is specially meant for web designers or for those who already know HTML4 and CSS2. This course includes advance modules to develop interactive and responsive website with latest web standards. HTML5 and CSS3 based Responsive Website Designing with UI Testing and Bootstrap framework. 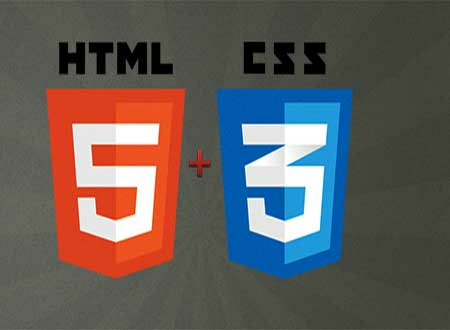 Tech Altum's HTML5 course is as per industry standards. 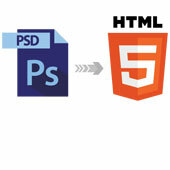 Learn how to build interactive and responsive websites using Html5 and css3. Bootstrap is HTML5 based Mobile First Framework to build responsive websites. 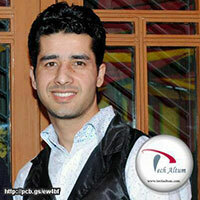 IIT Alumni Trainer having 7+ years Industrial Experience. Max 12 to 15 Students in a batch. Complete Study Material through online tutorial, android app, Youtube Channel, and pdfs. Special Focus on Practical sessions. Project will be handled by Trainer. Lab Facility with Genuine Software's & HIgh Speed Internet. Resume build up and Interview preparations. Upto 1 Year Support for Training, Revision & Jobs. Free Backup Session even after course completion. Full Day Lab Facility with Genuine Softwares and Internet. 250+ Articles on tutorial.techaltum.com, 2 Articles on Linkedin and 26 Articles on Blogger. Scored AIR 120 in GATE 2011. M Tech Scholar at IIT Kharagpur. 7+ Experience in Web Designing and User Interface Development. Working as a Corporate Trainer and Freelancer from last 7 Years. Till Now Trained 600+ Candidates. Flat 10% Discount on one time payment. Flat 10% Discount if joining on the same day of demo or enquiry. Special discount for group joining. Got someone's reference? ?, get flat ₹ 500 Discount. .
Flat 10% Discount for our old students. .
Angular 2 training with angular 4 & 6. Project Included. Tech Altum is the best institute for web designing.i have completed my web designing course from tech altum and also made a good project under guidence of Avinash sir.Now I recently got a job in facebook process in Wipro hydrabad. So thank you tech altum and Avinash sir. 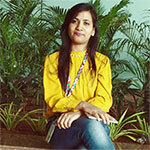 Pushpa Poddar , Web Developer Trainee, - Currently in Google, Former: Web Developer in Wipro (Facebook Process ), Hydrabad, . Excellent institute i am pursuing B.A 3 year and i am taking ₹ 23,000 P.M. in kartrocket pvt ltd because of only Tech Altum. Thank you sir and mam . Excellent institute for all courses. I am learning web designing here and found good environment, a professional trainer which really impressive. Specially thankful to Avinash sir who trained me in this field. Web and UI Designing course is meant for both technical and non-technical students. Any Graduate, undergraduate, B Tech, BCA, and MCA can opt this course. I am running my own business. Will this course help me? Every business need a website. Your website is the most effective marketing tool. This course will help you to building and maintain website, Basic SEO for website optimisation, monitor website performance, Web Hosting etc. I am already working as a Web Designer or Graphic Designer. Will this course help me? If you are already working as a Web Designer or Graphic Designer, this course will surely help you in building your career as a UI Developer.